At Aswad Surgical Group, you’re more than a patient. When in the care of Dr. Margo A. Aswad, MD and her team, you’re treated like family. 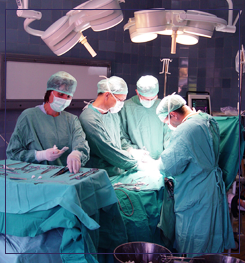 Lead surgeon Dr. Aswad fully understands the anxiety you feel when faced with any kind of surgical procedure. That’s why she and her qualified, experienced, and compassionate fellow doctors and nurses are with you at every phase of your journey to a better, healthier, and happier you. 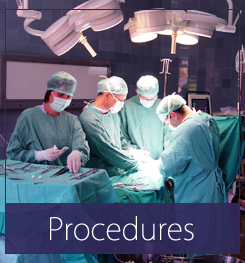 Explore the general and vascular surgical procedures offered by Dr. Aswad in her office at CHS-Lincoln in Lincolnton, and the CHS Surgery Center in Denver, North Carolina. private practice in Lincolnton, and Denver, North Carolina. In 1997, nine years before this practice was established, Dr. Aswad was a general surgeon at Lincolnton North Medical. Years later in 2006, she would go on to create the practice you see today. After more than a decade, her goal remains as strong, clear, and prominent as ever: Provide nothing less than the best care possible for all patients, regardless of current condition or status. Unique to Dr. Aswad’s practice is she is among the only female general and vascular surgeons in the area. Her passion for helping other through surgery and advanced medicine comes from her father, who is also a successful doctor. Register as a new patient online through our Patient Portal.